The show’s stylists are meticulous in their search for era-appropriate furnishings, clothing and accessories. You don’t need a time machine to transport you to those eras. 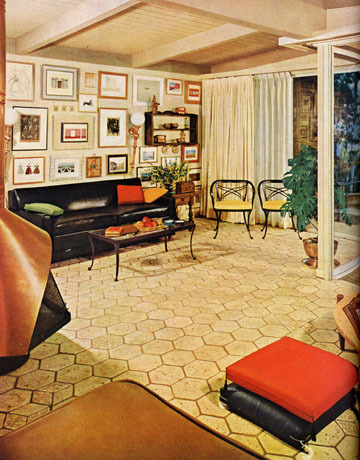 Just check out the vintage pages of 1960s design from House Beautiful magazine. 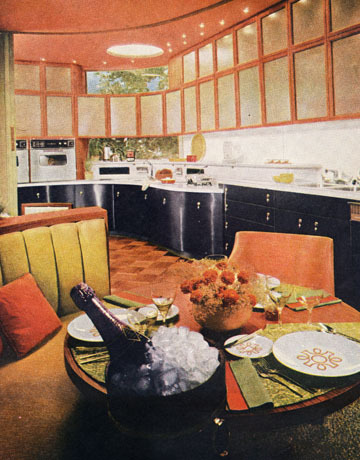 You can also take a look at the colors of paint that were popular for homes in the 60s. This is Benjamin Moore’s palette from 1969 recently featured in a post from Retro Renovation. 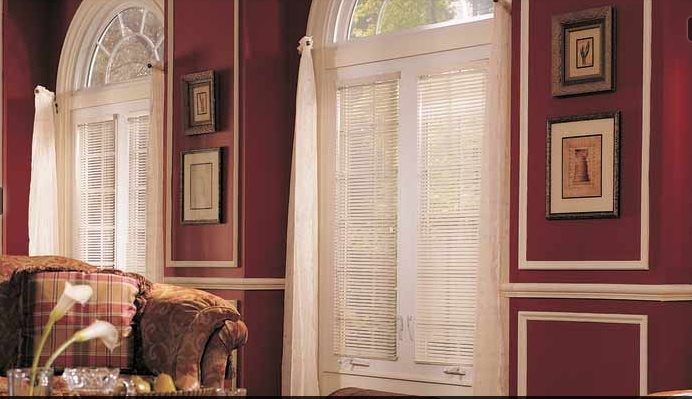 Many of the trends featured on the show are popping up in showrooms and design plans right now. 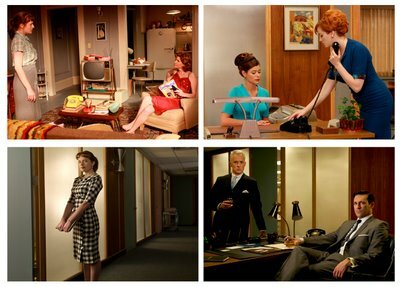 Some ideas for modern furnishings inspired by the show’s era include streamlined club chairs, shag carpeting, tufted headboards and aluminum blinds. 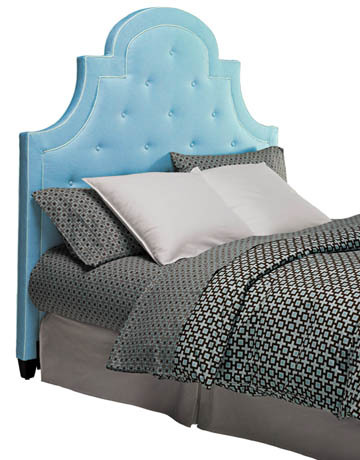 You can read more about Hirshfield’s headboard program here and see our video on what we call super shag here. 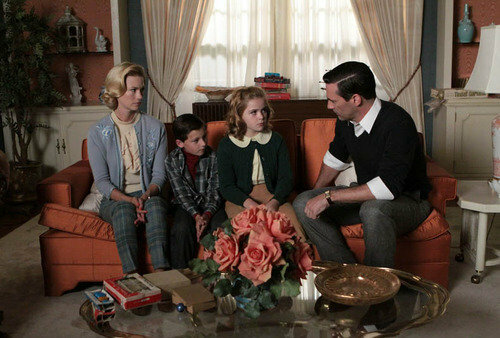 If you’re not quite ready to completely redecorate with inspiration from Betty Draper – try out a few accessories. 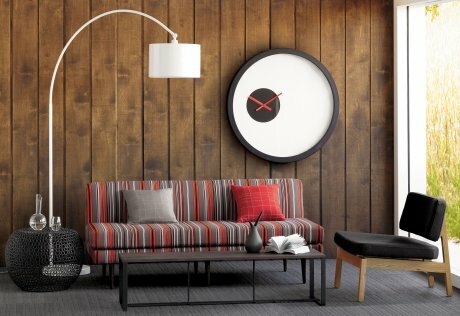 A vintage-looking clock or retro lamp would add impact, without turning back time in your home.